Wildlife rehabilitation wasn’t in the plans when we started the sanctuary. It was through a visit to SEMA, an agricultural agency, that the idea was born. During a meeting to answer questions about our project proposal, we noticed cages in the hallway outside of the office that contained birds and other animals. It all seemed out of place, so we asked why they were there. DEC licensing in the US with wildlife rehabilitation and release and a loose offer to work with some of the animals in the future, once we were more established. 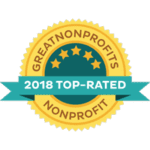 We are actually grateful for this occurrence because it has provided us with another way to give back. Not only does it mean that animals that would have been stuck in cages for their entire life get a chance at an actual life, as nature intended it, but we also are able to help bring the natural balance back to an area that has been devastated by agricultural development. NUMEROUS HARD-RELEASED SPECIES where no rehabilitation is required. 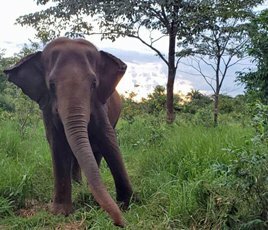 They are generally results of being hit by a car and other incidences where they are treated at the University Veterinary Hospital during a short-term stay and then brought to our property for quick release. 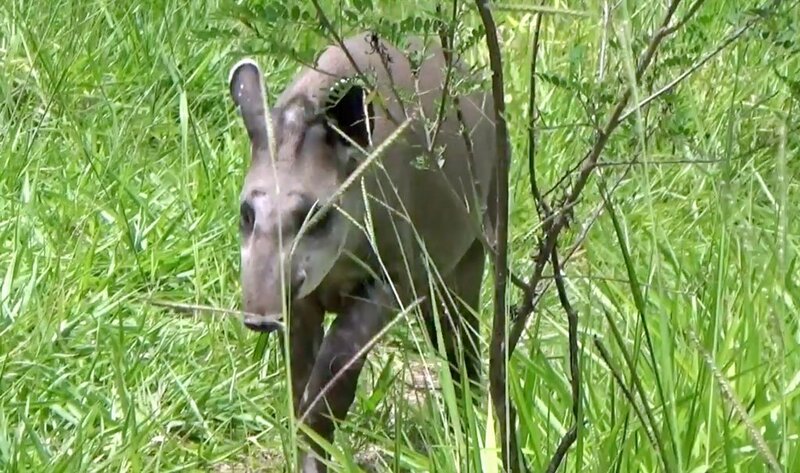 Lowland tapirs are one of the main species we have agreed to work with. 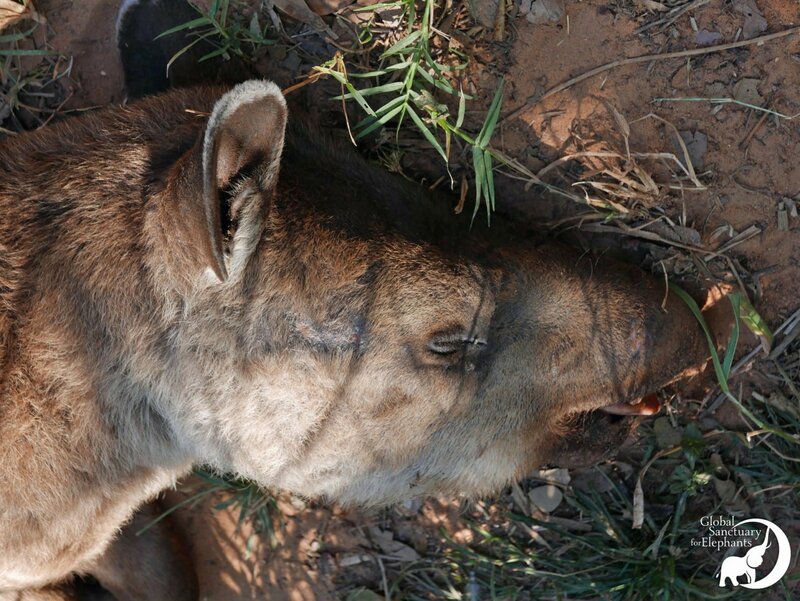 They are found throughout our property and this area (although we generally only see tracks). 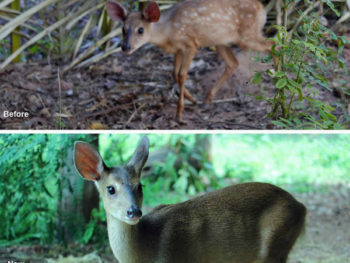 Due to their conservation status being listed as ‘vulnerable,’ there is an additional benefit to aiding in the repopulation of the species. Our first stage rehab area is a smaller area that was constructed from an old cow corral. We used the existing framework and made some changes, like the cement pond, to be appropriate for wildlife. This smaller space allows us to monitor the tapir’s behavior, weight, and any changes that occur after initial arrival. Since their diet will be slowly adjusted to mimic what they eat in nature, we need to monitor their weight and stool closely, which makes this space is ideal. It also allows us to monitor their development of more natural behaviors. Once we know a tapir is ready to graduate onto the next step, they are given access into a larger adjoining space, while still providing them with the security of having access to their initial space. Both areas total about an acre and a quarter, the majority being the 2nd natural space. 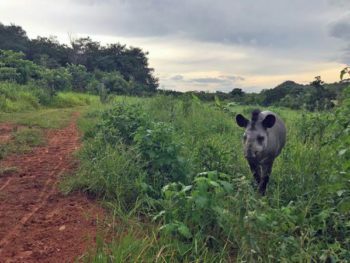 This space is an enclosed field, with a man-made dirt pond, trees, shrubs, rocks, a spring, and other natural features that will ensure the tapir is ready to step outside of the fences. There is no way to know how long the rehabilitation process will take, it is all very individual. We need to ensure the tapir is in good body condition, has built up some muscle, does well with natural foraging and seems psychologically ready for life on his/her own. 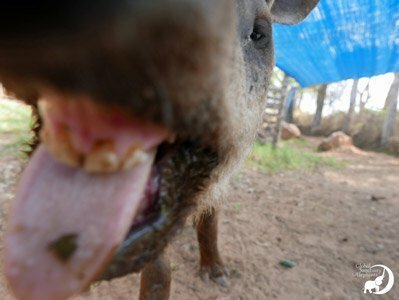 We always look forward to the day when we can open the final fence and give the tapir the existence they were meant to have. Until then we will continue to care for and monitor them. 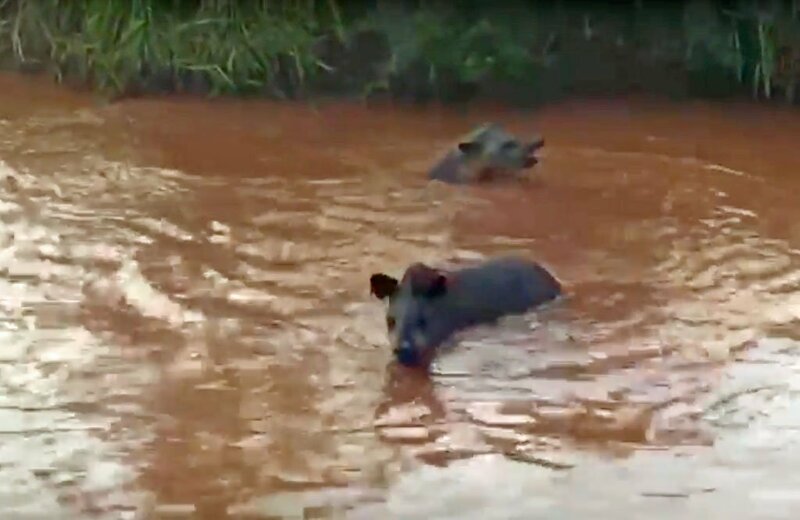 Tapir Rescue At The Dam → Watch video of a tapir rescue at the local dam that we were involved with. 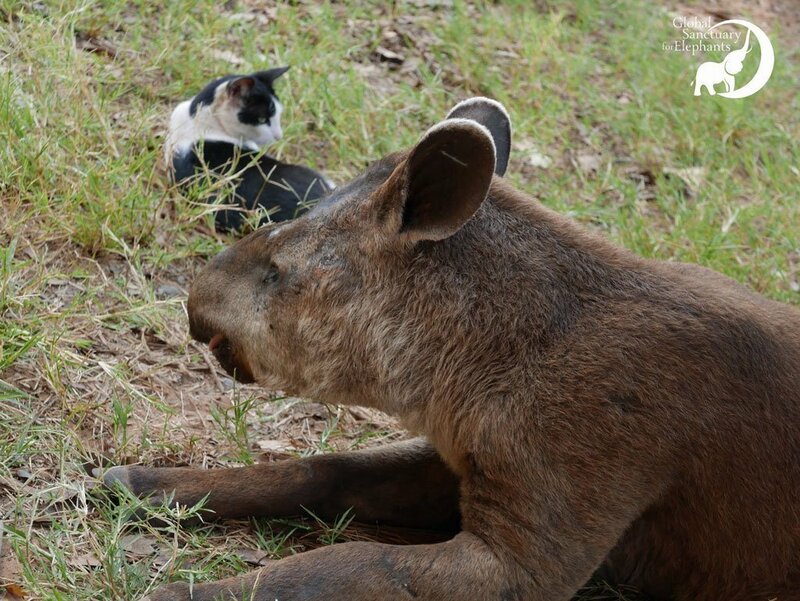 Alma was brought to us like the other tapirs we have received, with plans of rehabilitation and release. As soon as she arrived we realized something was not right. After observing her for a short time we began to question her ability to see, determining shortly thereafter that she has about 95% vision loss. She would also have episodes of spinning that was reported to be behavioral and stress related, but we soon discovered that was not the case; they were actually minor seizure episodes. We believe Alma was possibly hit by a car, causing her vision and neurologic issues along with an old fracture in her jaw. Unfortunately, Alma, due to being a wild tapir, wasn’t used to or appreciative of human touch, so it took us some time to be able to gain her trust and take blood samples to check her health status. Her results came back clean, so we were able to start her on anti-seizure medication. Since her treatment began, she has been episode free. Slowly she has learned that humans aren’t so bad and now appreciates a good scratching behind the ear and will call to us if she hears us close by. 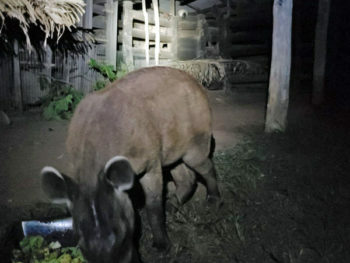 When Alma initially arrived, she was with another tapir, but the other tapir ate most of the good food and was a little pushy with Alma, who seems to prefer being alone. Well, almost alone. She has a rooster named Ian who spends his days in the rehabilitation area with her. He is blind in one eye and seems to find comfort being with her and Alma seems to appreciate her much smaller companion. 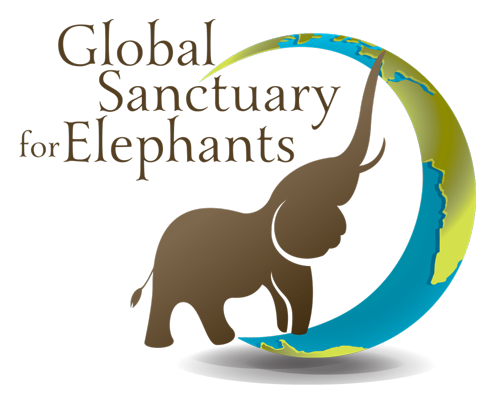 The sanctuary will be Alma’s forever home. We wanted to do an update on Alma. 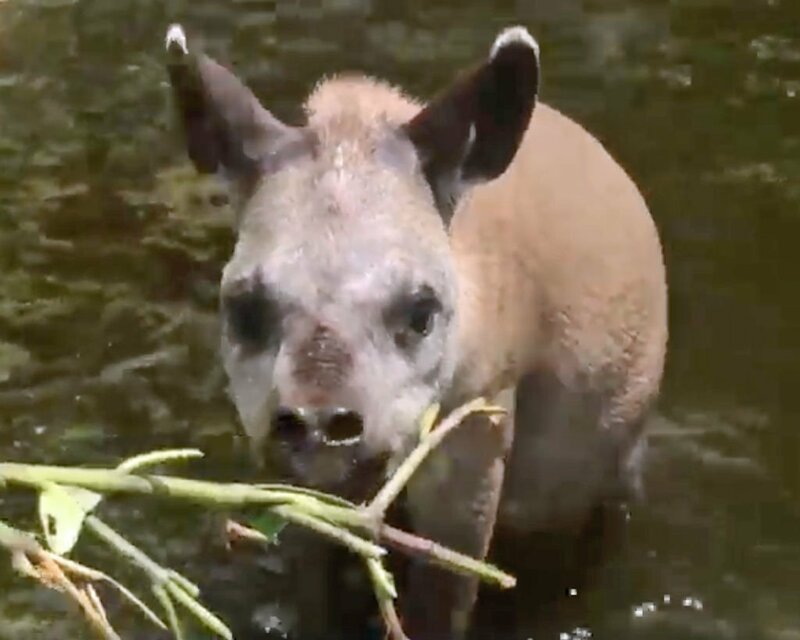 But before we get started, for those who don’t know, Alma is an unreleasable tapir that ..
We wanted to introduce you to one of the tapirs (antas) that came as a rehab/release, but.,.. When going out to take care of the tapirs and chickens at 5:30 AM, Scott heard a bit of a ruckus.